The best part of running a business lies in the unknown and knowing how there is so much that we can still learn even after being in it for years. David Sidoni takes on the task of exploring the depths of wisdom that are yet to be discovered as he meets and interviews different people in the e-commerce and marketing industry to share their knowledge and insights about the business world. 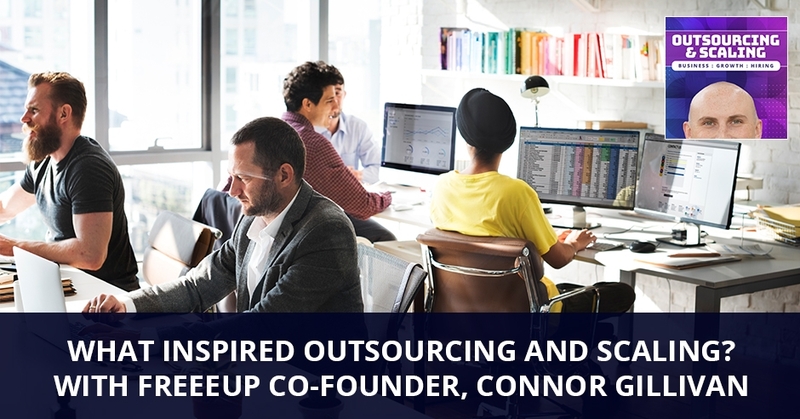 We kick off this great venture with Freeeup Co-Founder, Connor Gillivan who takes us back to where his entrepreneurial spirit started – from college days and growing an Amazon business, to creating a virtual freelance platform today. I’m here with my business partner, Connor Gillivan. What’s going on, Nate? How are you doing? I’m doing great. We did it after years of talking about it, we finally have this show. We are here. It’s taken a while. We’ve listened to a lot of them and we’ve been on a lot of them. 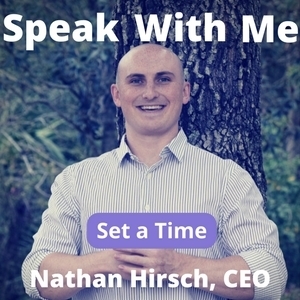 This show is going to be me interviewing different guests that come on, a lot of people that are well-known in the eCommerce and marketing industry. We want this to be packed with content, real actual stuff that entrepreneurs out there can actually apply to their business on a week to week basis. I thought, “Why not have the first episode where I interview you?” I feel sometimes I become the face often. People hear me on podcasts. They probably heard my story a hundred times if they’ve been following us for years. I want to dive into you because I feel there’s so much there that is different. You and I are totally different people. We’ve known that for a while. Let’s take it back to college. I think we’ve all heard the summary of the story. We were growing this Amazon business, but what really stood out in those college years? We were building a business completely from scratch. I had no idea who you were. I don’t think he really knew who I was, but you had this idea to start selling things online. I was interested in it. When you met me, I was driven. I was looking for my first opportunity and you gave me that chance and we went from there. I think we both came from the same background, although we were very different people, both middle class. Why don’t you tell people a little bit about your upbringing? I was brought up in Upstate New York. I went to a military Catholic high school. I learned a lot about discipline and education from a young age. My mom was a freelance writer for her whole life. That plays into this. My dad was an engineer. I was in economics and math, so everything made sense there. I grew up around entrepreneurs too. That idea of running a business was always something that wasn’t an option. It was something I wanted to pursue and I hated working for other people. That was the best option to go with. That’s where I think we’re similar. We both hated working for other people. Where I think we’re different is my parents were both teachers, but I was rebelling. There was no one there to pull me in line. I don’t think my parents fully had control over me. You went to that strict school where you had to get in line and I feel that’s how we ended up with very different personalities coming from the same place. We always wanted the same thing. We always wanted to build a business that allowed us to live the life we wanted. I think that’s what aligned us most of the way through. The values are there. We talked about the same thing. We want to make sure that our team is taken care of. We want to make sure that our clients are happy. We want to understand the numbers and we want to make smart investments and we’re on the same page there. Neither of us is going off in this crazy direction or trying to pull a fast one on people. We were both very honest and genuine guys. We just want to build a business that actually makes an impact on people. We’re running this crazy business in college. Any particular story that stood out to you that summarizes the college years? I can remember there were nights when we would be studying for finals and we are also in the middle of busy season. For 24 hours for a week, I would go to the library, study for an hour, fulfill orders for an hour, go back and forth just over and over. At the same time, I think you are also rushing the fraternity and doing three other things. It was madness. The time in college, I don’t know how we got through all of it. It was a lot of Monsters and Red Bulls and coffees to get us through all those hours. It’s been a long time since we’d been in college. It’s a blur. It’s hard to really put a perspective on what it was like running the business out of college. I’m curious if you remember it the same way where you messaged me during class asking for a job. You didn’t really know what I did. I don’t remember interviewing you that much. I may have asked you a few questions. I remember the first day that you were going to work for me. You called me and you said, “By the way, I don’t have a car. Can you come to pick me up?” I’m like, “Who is this guy? Am I really going to waste my time?” but I had already committed. I went there. I picked you up and I brought you back and I taught you the business and I brought you back to school. It ended up being one of the best things because on those car rides, you and I would talk business. I feel that’s when we got to know each other. The stuff we were doing wasn’t that entertaining. We’re changing prices on hundreds of products on Amazon and then reading off numbers for bookkeeping to each other. I think that it allowed us to bond with each other and get to know one another at a deeper level. That’s what allowed us to start to work together. It was great. I think what a lot of people can relate to if they have friends or family that are not entrepreneurs is we got a lot of weird looks when we were in college. We’re selling baby products. There’s always this image in my face. I was listing baby products on Amazon and this girl that I knew looked over my shoulder and I looked her in the eye. She just looked at me like, “You are a weirdo.” What was it like telling your family what you did? What did your friends think? There were entrepreneurs in my family. It was okay but there was still a lot of push for sure from aunts, uncles questioning, “You’re going to school, you’re in college and you’re doing well. What’s your plan afterward?” When I told them that I was selling baby products, toys and home goods online, a lot of them gave skeptical looks. They wondered is that something I could continue to do after college. “Can he actually figure out a real-time job in what he’s doing?” It’s the same thing from professors and other students. They were like, “What are you doing? How are you actually doing this? Are you making money doing this? What is going on with you?” There’s a lot of skepticism there. We’ve been through many ups and downs. People heard my Myrtle Beach story a hundred times. When someone dropped us, some quit, we were there. I feel like along the way, you’ve handled the downs way better than I do. I’ve gotten better at it maybe. How do you stay so even-keeled? I’ve always wondered that about you and I feel that’s the skill that more entrepreneurs need to have. You know me pretty well. We’ve come to look at it the same way. Any down to me is always a learning opportunity. It’s never been, “This is a down. The business is ending. We’re running to the worst possible things that could happen.” In my mind, I try to stay positive. I think of how we can fix it. I think of logical solutions and figure out how we’re going to move forward. I think it’s just personality differences too. I’m definitely less high strung than you. I usually try to read a book a month. It’s hard to come up with books that have been the biggest. I’m reading The Three Questions. 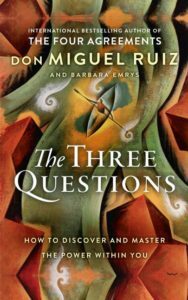 This guy, Don Miguel Ruiz, he’s like a wisdom guy, a philosopher. A lot of the stuff he talks about is controlling your own mind and your own destiny. Some of that relaxness probably comes from books like that. I love books that are business biographies, Steve Jobs, Bezos, Elon Musk and all those guys and their stories. I love that because you see how they went from nothing to something and what it took to get there along the way. I do marketing for FreeeUp. I read a ton of marketing books as well. Let’s talk about FreeeUp. At this point, I think we both can agree that this exceeded our expectations a little bit. Whenever you start any business, you don’t know what the client feedback is going to be. Talk to me a little bit about the early years. What was going through your head? Because I know we had felt Amazon was reaching a peak. There are a lot of the gurus and courses were coming out. Our business was doing okay, but it was hanging in there and we were both looking for different things. I know you had ventured in a few different opportunities. You weren’t 100% sold at FreeeUp. What was it that you saw in FreeeUp that you liked? Talk about the early stages of it. The early stages were weird. We were still running our Amazon business. I was looking at other options, trying to start other businesses and then we were working on FreeeUp together, but it wasn’t really what it is. You are doing eCommerce consulting and we are offering an Amazon course to learn how to sell safely. From those first clients, we were like, “By the way, we have twenty VAs who we’ve worked with before. Do you want to hire them from us?” The first year, it was wild. It was weird. I was learning how to build websites so our website was looking crappy. We were building all the content out. We were trying to figure out how all the billing worked and how all the logistics and everything would work. It was fun. I love that part of growing the business. It’s the unknown and you have to figure out what your customers want and then build a solution for it. It was weird but it was also fun. It was definitely an interesting transition, but I was happy once we made it. The business really took off. Once we were only focused on that and building that part of the company, everything started turning into what people know FreeeUp to be. I want to share a story with the audience. Connor is doing FreeeUp part-time. It wasn’t twenty hours, it was probably more but it wasn’t full-time. We used to meet up at this coffee shop. There was one time Connor sat down and I thought he was just going to tell me, “I’m moving on to other things. I’m going to quit.” He said, “I decided I’m going to stop doing all those other things and 100% focus on FreeeUp.” I think about it and we’re going in two different directions. I don’t know if I could run FreeeUp without you. I was excited. I was pumped. I left that meeting. I came home going like, “You will never believe what happened.” Did you see that the same way? What was going through your head? You’ve told me that so many times. It makes me crack up because I did not know you were expecting bad news. I was excited to share the news with you. I was more nervous. Is this going to work out? Is he going to want me to come on full-time and work on it? I was pretty sure you were, but there’s always that doubt. It sounds like we both had some doubts going into that meeting, but it ended up being for the best. I think it tells a lot about our personalities. Whenever something happens, I’m always thinking, “Worst case scenario, let’s prepare, let’s brace ourselves.” You’re over here like, “Let’s open up the opportunities. Let’s be positive.” Let’s talk about a little bit about working style. One thing that I think we’ve done well after working together for eight years is dividing and conquering and not stepping on each other’s toes. You and I have very different skill sets. I think we have very similar business philosophies and how we approach running a company, but I think you’re way better at talking to clients, talking to the freelancers and handling the internal operations. We’ve made you the face of the business. I don’t know if that was by choice or it just happened. You’re amazing at that. I like to be in the background. I think that’s where I’ve found a really good place for myself in running a business. I can build a website. I can design things. I can create content. I can manage the teams that handle the marketing, the advertising, a little bit more of the technical stuff and then have you handle more of the customer facing and that type of things. It allows us to work really well together. We have amazing trust. We both do those things and then the business goes forward because of it. A question that I get asked on a lot of podcasts is, “What is your long-term plan?” It’s my least favorite question and I always dodge it and I say, “Ask me ten years ago if I’d be selling baby products. I wouldn’t have believed you if you asked me five years ago if I’d be running a marketplace. Who knows what the future says?” I know that you think about the future. I know that you plan it out. Give us a glimpse into what you think the next five to ten years of your life, of what FreeeUp is going to be like. You probably know though as well that I used to be the pie in the sky guy and that’s something we used to argue about when we were younger. I’ve definitely come more down to earth. I usually look at things in one to two-year spans. I think that’s more realistic. You can set goals and it’s easy to work towards them over a year or two-year span. I’ll be honest, I don’t think in five years anymore. It’s too tough. That’s hard to look at. If I had to peg something on it, I would love to be still running FreeeUp with you. I think we have a lot of opportunities. There’s this whole marketplace and the whole world of freelance is growing all over the world and we’re in a really unique scenario. I’m talking to clients and them saying, “I can see how you’re different from these other places.” I think that’s really powerful and I love working with you. That would be great. I’m in the same boat. One of the cool things that we do that I’ve been telling people and I encourage people to do is if you have a business partner that’s remote. Connor’s in Colorado and I’m in Orlando, once a quarter we try to meet up in some place cool. We met up in Austin. We had a great time and we’re going to be planning trips to different places. It’s a cool way to keep it fresh. I don’t know about you, but with the Amazon business, I used to go a little bit crazy working from home and this is way different. I talked to clients all day, I go to podcasts, I have dogs now and all that. I think getting that travel element of having that remote lifestyle and I know you love to travel as well. Talk a little bit about traveling and how that’s been a big part of your life. I had a great opportunity to travel to South Africa for a couple of summers working for a company while we were still in college. I just opened my mind and my world to traveling and different cultures and how people look at things differently. I try to travel as much as possible, go check out new places, whether it’s in the US or outside of it. On a daily basis like you’re saying to avoid going crazy working from your home office, I go to coffee shops a lot. I try to be around other people, see what they’re doing and meet new people and keep things fresh. Let’s wrap up by talking about the podcast. I’m looking at it as you’re my unofficial producer. You’re going to be behind the scenes doing a lot of the marketing, the content and helping get certain guests on the show. What are you most excited about this? I’m super excited for the people who are able to get on here. I think we’re going to be able to get some really high-level entrepreneurs who have built multimillion-dollar businesses. People who have done outsourcing, have built teams in-house and have gone down different roads with entrepreneurship that you and I maybe haven’t even had experience with yet. We can hear their stories. We can have them share tips with people and relate to the readers of this blog. I could not be more excited. The show is called Outsourcing and Scaling. You’re reading episode one. We have a ton of great guests lined up. Make sure that you subscribe on iTunes. Leave us a review if you like this content. Send us your feedback and check out FreeeUp.com. Connor, any last words? Subscribe to the podcast. There’s going to be a lot of amazing content coming out and some great guests. We look forward to seeing all you there. Thanks for taking time out of your day and we’ll talk soon. Connor Gillivan is the CMO of FreeeUp.com. 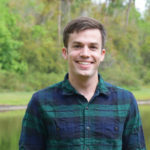 He has sold over $30 million online, has hired hundreds of freelancers to build his companies, is a published author, and is the owner of ConnorGillivan.com. He currently lives in Denver, CO.